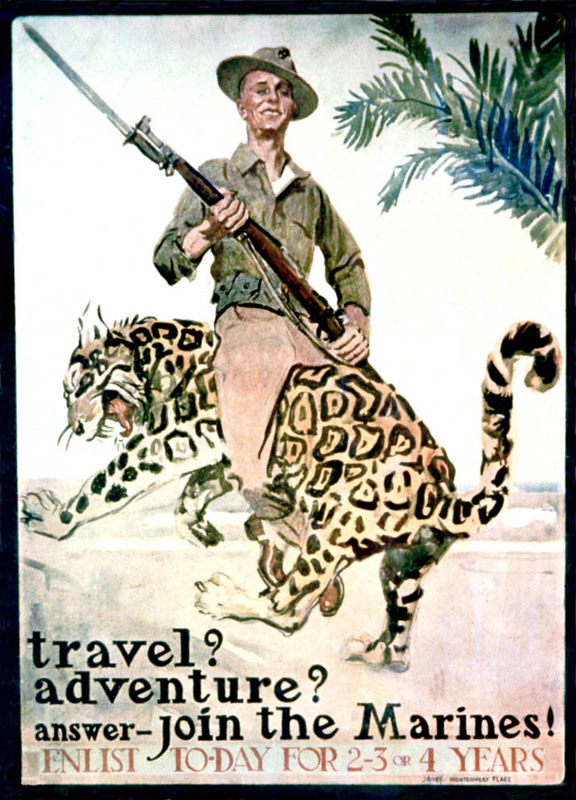 A Marine with rifle riding backwards on a Jaguar. TRAVEL? / ADVENTURE? / ANSWER- JOIN THE MARINES! / ENLIST TODAY FOR 2-3 OR 4 YEARS.